Running Press Kids, 9780762492251, 32pp. Do you know what the difference is between vertebrates and invertebrates? How are mammals different from other types of animals? How does a fish swim? How do birds fly? Why does a jaguar have spots? Answers to these fascinating questions and more lay inside Animals: A Lens Book, a fun and fascinating illustrated book that promises to provide hours of fun and learning for kids. 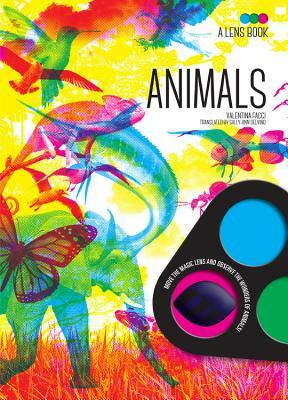 Use the three different color lenses in the book's cover to make discoveries about all different types of animals on each page. You'll never look at the animal world the same way again after learning all these curious facts about our furry (and not-so-furry) friends. Valentina Facci earned a degree in art and archeology from the University of Verona in 2013. She has catalogued historic buildings for the Commission for Architectural and Landscape Heritage for the Provinces of Verona, Rovigo, and Vicenza. Since 2015 she has worked as a writer and translator of children's books at Sassi Editore. She lives near Leguzzano, Italy.